Minerals: Minerals are those naturally occurring substances earthen which containmetals in any amount. Ores: Ores are those naturally occurring substances or minerals from which metals can be conveniently and economically extracted. Metallurgy: Metallurgy is the complex and sequential process of extracting metals from their respective ores. Minerals are those naturally occurring substances earthen which contain metals in any amount. Ores are those naturally occurring substances or minerals from which metals can be conveniently and economically extracted. Metallurgy is the complex and sequential process of extracting metals from their respective ores. You are given two objects; one of which gives sharp sound but does not breakdown into pieces when hammered, another object produces rough sound and breaks into pieces. Which one is metal? Give its two examples. The object which gives sharp sound but doesn't break down into pieces when hammered is a metal. The two examples of metal are Iron and Aluminum. What are the two main properties of metal that make it suitable for making pots and pans? i. Metals are ductile and malleable. ii. Metals are good conductor of heat. Give two such properties of metal by virtue of which wire is made from it. The two properties of metal by virtue by which, wire is made from it are: a. Metals are ductile and malleable. b. Metals are not broken when hammered. 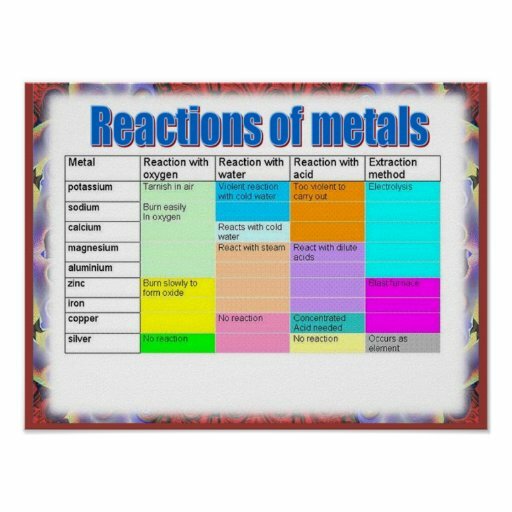 Arrange iron, gold, copper and silver in order of increasing melting point. The given metals are arranged in order of increasing melting point as follows: Silver < Gold < Copper < Iron. Ores are defined as those naturally occurring substances or minerals from which metals can be conveniently and economically extracted. Washing soda is manufactured by the help of______. The complex and sequential process of extracting metals from their respective ores is ______. Which one of the folowing is least reactive? why is tungsten metal not used in heater? Any Questions on 'Introduction to Metals '?